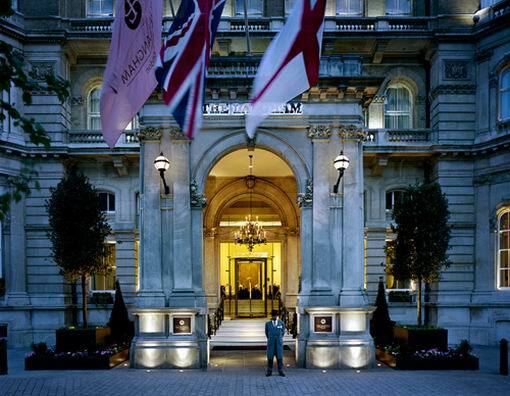 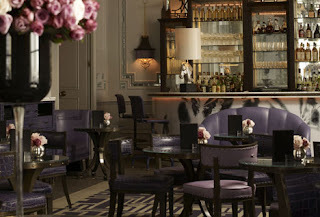 Coming back from London is always an adjustment, but as we start the week, I can't help but share two of my favorite London interiors and they both happen to be at The Langham Hotel. 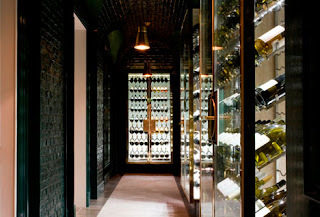 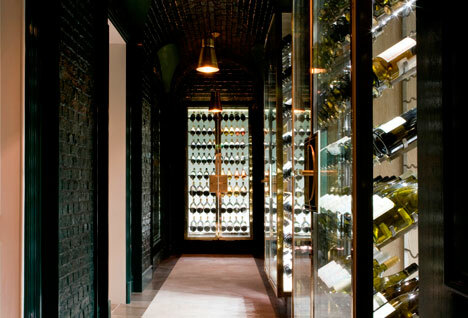 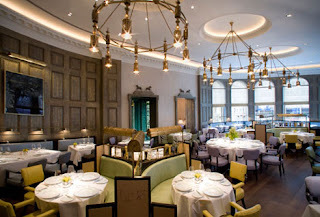 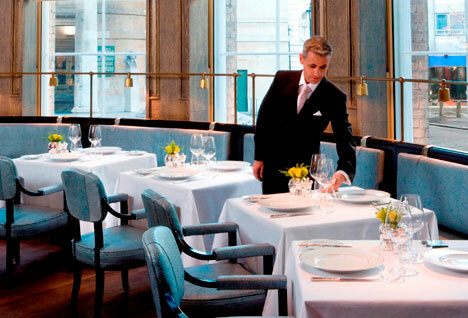 The Landau Restaurant....turquoise banquette, need I say more? 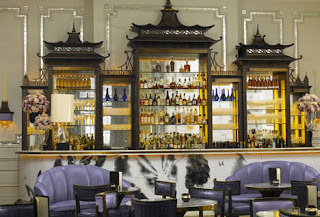 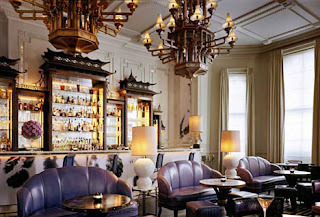 The Artesian Bar ....how do you not love when lavendar and pagodas exist together? 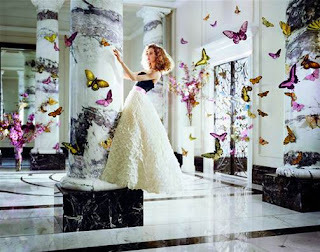 All pictures courtesy of the Langham Hotel website.